There is another copy of this print in the collection of the Toledo Museum of Art. This print is listed as #187 in Modern Japanese Prints by Dorothy Blair. It is illustrated with a small black and white image. The original printing was an edition of 200. 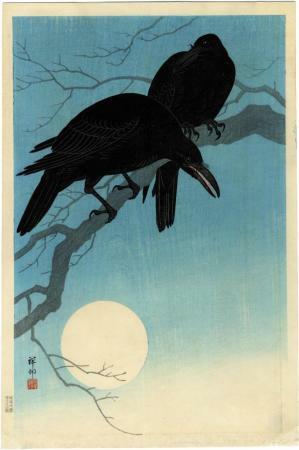 Illustrated in color in Crows, Cranes and Camelias: the Natural World of Ohara Koson 1877-1945, p. 148. Illustrated in color in Fresh Impressions: Early Modern Japanese Prints, p 222.